Thai food is aplenty in Bangkok, and yes it is probably difficult to find the best, since there is so much to choose from in the big city, where restaurants are located almost at every corner. 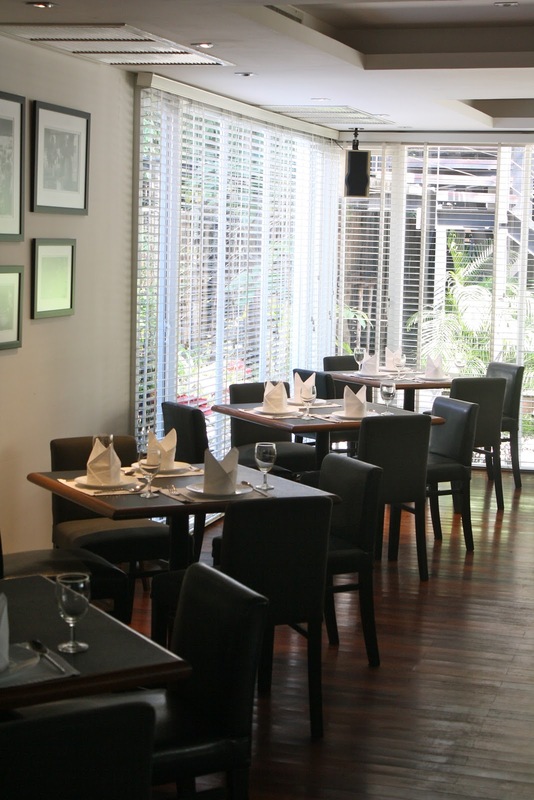 At Baan Khanitha, best means best, and nothing less – the reason behind this growing chain of restaurants in Bangkok. Baan Khanitha grew from one restaurant, to five within a few years. And yes, they serve authentic Thai food – no tweaking of ingredients to substitute, just the original taste like how Thai food should be. You know a Thai restaurant is “authentic” when they serve you Meang Khum at the start of the meal – just like in the traditional days. This consists of shrimp paste, dried shrimp, dried shredded coconut, peanuts, shallots, lemon and ginger wrapped together in a betel leaf. At Baan Khanitha, they don’t believe in charging for what should be put on the table, hence this is complimentary. I found this refreshing. However, the taste is quite acquired so some may not like it. The most ordinary dish from a menu of a Thai restaurant is probably papaya salad, but at Baan Khanitha, you are given another choice – Pomelo Salad. This appetizer was full of texture and flavors starting from the juicy pomelo flesh tossed with chicken shreds and served warm with prawns. Despite looking red, it wasn't spicy due to the fact the pomelo was extremely sweet. In my opinion, it is a must order at Baan Khanitha. And because it is "traditional" we are emphasizing on, we had to dive right into the Thai Fish Cake. At Baan Kanitha, they make the fish cakes themselves. I would have liked it with a bit more seasoning but when paired with the cucumber slices and chili sauce, it gave a bit of a kick to the whole thing. The Tom Yum Goong however, completely blew me away. The soup was filled with spices and was exploding with robust flavors. I also found out that their brooth is made from boiling prawn heads, which explains the orangey look (from prawn roe), which i initially thought came from chili. The prawns, as well as the mushrooms, were very fresh. In fact, if it wasn’t for the rest of the dishes lined up, i would have jumped for another bowl. In Thai cusine, there is green curry, red curry and yellow curry, each representing the different level of spiciness. The River Prawns with Red Curry again did not disappoint. The prawns were perfectly cooked and together with the eggplants which soaked up in the curry, i found myself enjoying the dish even though I sometimes stray away from spicy food. For the record, 90 percent of Baan Khanitha's ingredients are organic. This is because the owner feels the importance of healthy living. Some people might have the perception that organic food taste weird and different, but if they didn’t tell me towards the end of the meal that the ingredients used were organic, i really wouldn’t have guessed. Moving on, the Deep Fried Sea Bass served with a special sauce was again something i found myself “attacking” on the table. The fish was extremely fresh (they import their seafood daily) and deep fried till crispy (but not oily). Accompanied by the sauce, which was a bit tangy, the whole dish was absolutely ambrosial. They serve white and brown rice to accompany your dishes as well. As traditional as it has already gotten, dessert was Mango with Sticky Rice. There was nothing to complain about this, and it is a bonus since dessert is always my favorite part of the meal. The rice was cooked perfectly, and topped with a bit of nuts which gave it a crunch. The mango (yes, organic mango) was absolutely sweet as well. Served with their in house coconut ice cream, i devoured into my partner’s share as well without much hesitation. Baan Khanitha is a place in Bangkok that has to be on your itinerary if you truly want to experience authentic Thai cuisine at pocket friendly prices. Given they have five different restaurants scattered around the city, finding one close to you shouldn’t be a problem. And yes, because they can get quite packed (like how most reputable restaurants are) during dinner and weekends, i suggest you make a reservation to avoid disappointment.